Training tricks is easy and fun. The serious side to them is that, by teaching tricks to your dog, it helps you learn how dogs learn and also aids communication between you. If you can teach your dog to do tricks, you can teach your dog to do anything. There are now lots of videos on the internet to help you learn how to teach tricks. Begin with easy ones, such as high five, and then progress to more difficult tricks once your skills begin to develop. Putting tricks together to make a little story to entertain friends or children is fun and your dog will love it too. The basis of any trick training lies in helping your dog to do the action by correct placement of the treat, then waiting until he does what you want and rewarding immediately. 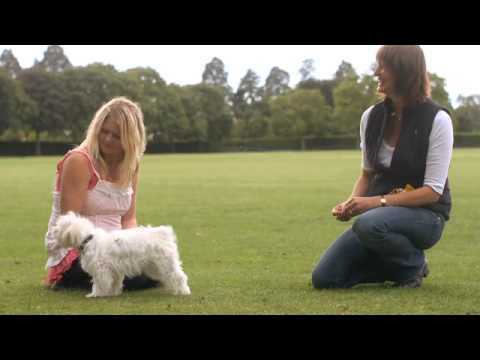 Ignore any wrong moves but try harder to help your dog find out what to do. Sometimes its difficult for your dog to understand what you want him to do. If either he or you begin to get frustrated, walk away, take some time to think, and then come back with a different approach. Since you are starting with the last part first, your dog will always be working towards something he knows. Make sure your rewards are sufficient for the effort your dog is going to have to make to learn and do the action. If he is reluctant to work for you, ease up on any pressure you may be unwittingly putting him under (relax and breathe!) and increase the value of the rewards being given. 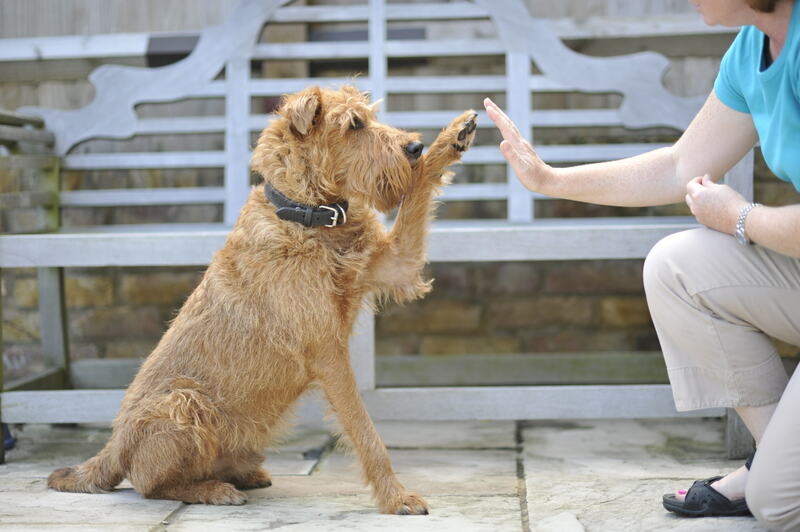 If you want your dog to perform tricks at shows, other people’s houses or anywhere away from home, make sure he knows the trick well first and will do it on cue first time you ask him. Then practice outside in the garden, out on walks, then in other areas and buildings until, eventually, he will do it well and first time anywhere.